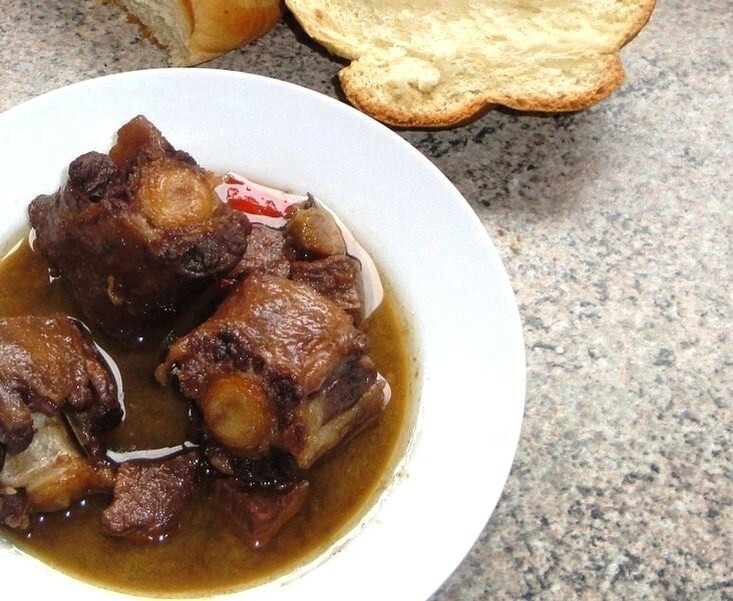 Pepperpot is an Amerindian dish from Guyana. It is also Guyana's National dish. It is often served over the Christmas holidays, on Christmas morning. 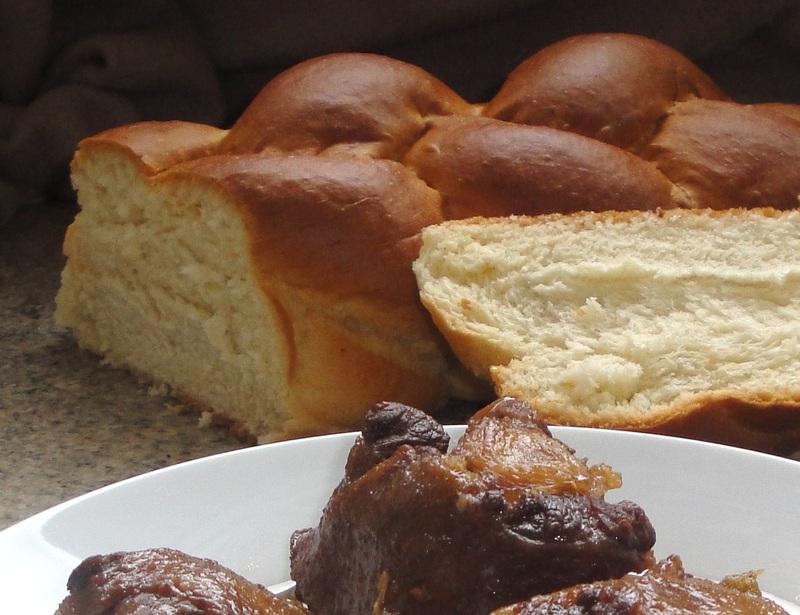 It is traditionally served with Cassava bread-if you really want to be authentic. 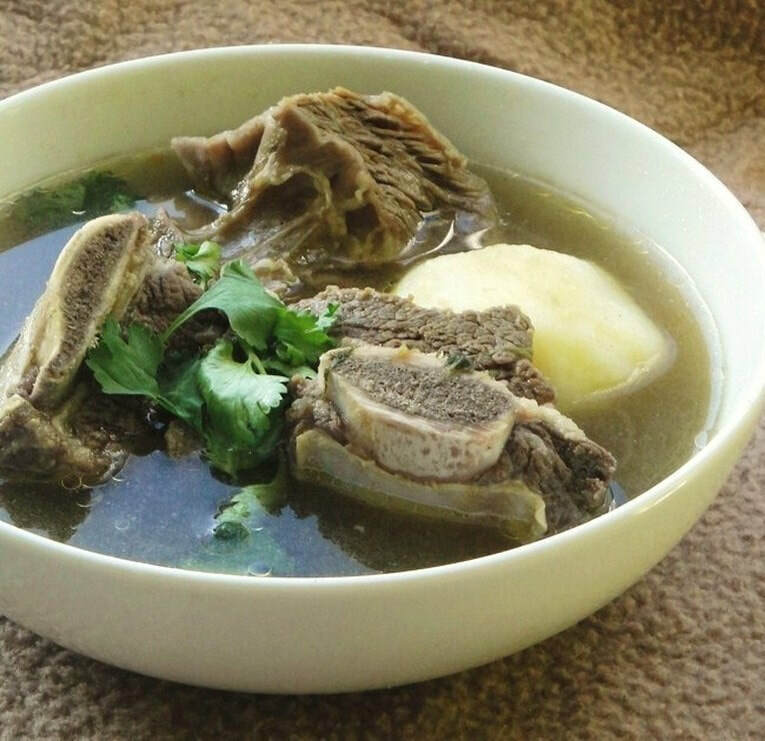 These days many Guyanese people serve it with Guyanese Plait bread. 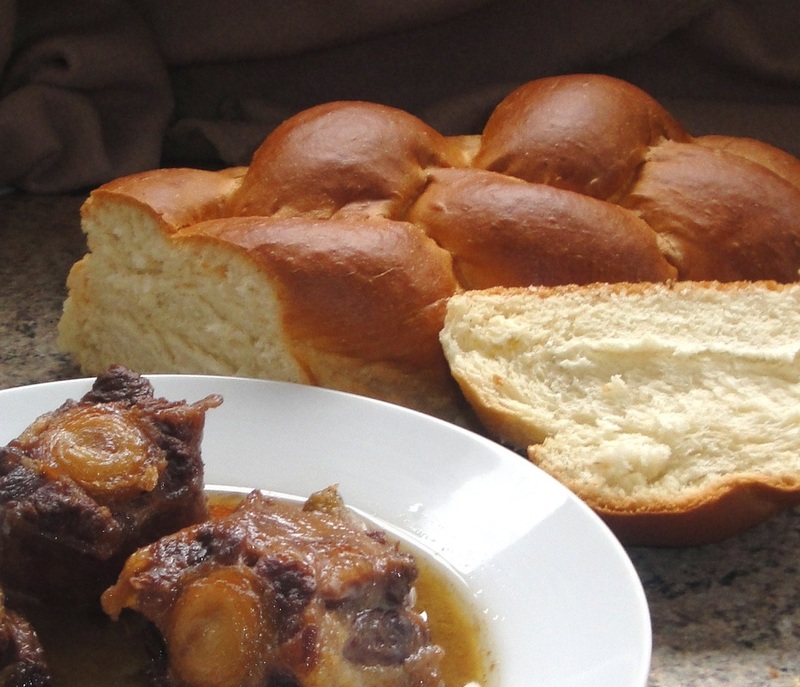 I served it with Challah bread which is very similar. 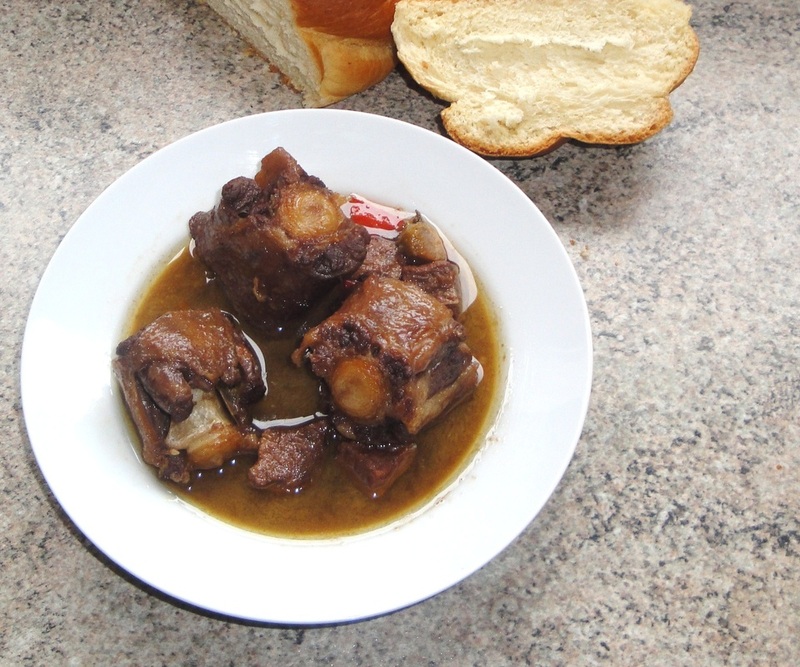 I have been meaning to make Pepperpot for a long time. 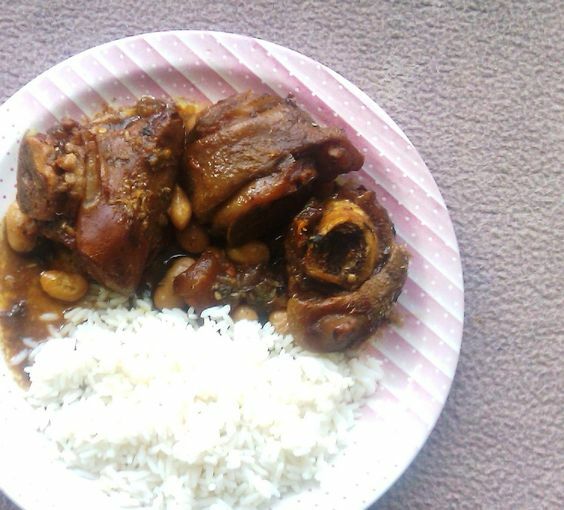 Pepperpot appealed to me because the mere idea of this dish ignited my taste buds. The fact that it's basically a one pot meal also inspired me to make it. Sometimes I just don't feel like cooking a bunch of dishes at once. Some dishes are just not meant to be made fancy, or turn into Haute cuisine. This dish is one of them. It's pure Caribbean comfort food. You sap the stew with the bread. 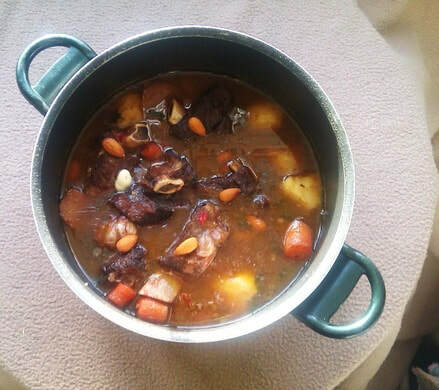 When you make a one pot dish such as Pepperpot; you just put everything in the one pot, bring it to a boil, and turn it down and leave it to simmer. At the end you have a a delicious hearty dish, that is tasty and filling. You see if I make a Caribbean curry, I have to make rice and roti to go with it. That's three pots or pans on the stove all at once. And believe me, it does fill you up quickly when paired with bread. The key ingredient when making Pepperpot is Cassareep. Cassareep is a rich black syrup made from Cassava. It has a similar look, consistency- and when mixed with sugar and spices, it doesn't taste drastically different from molasses. 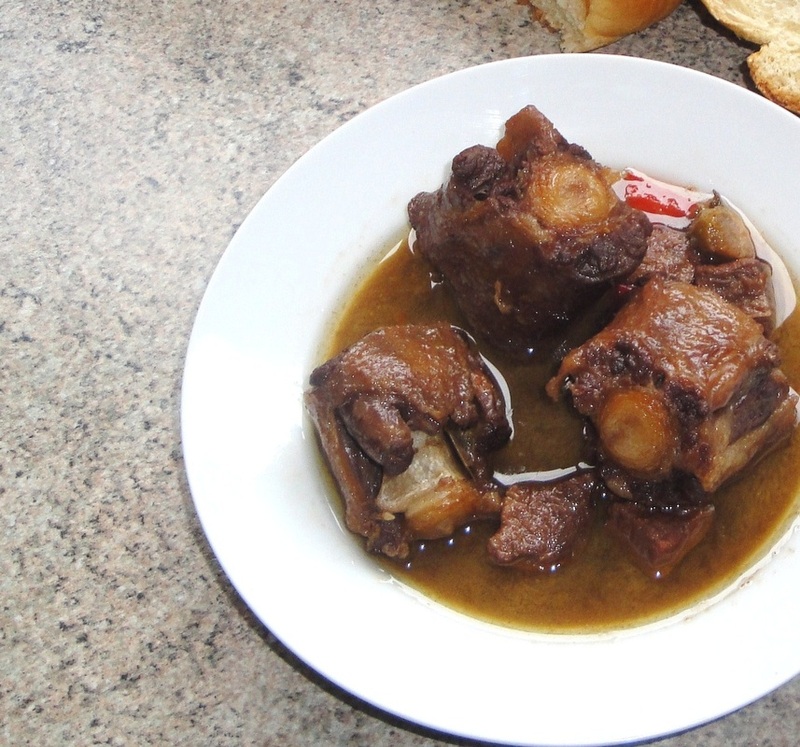 Jamaican Pepperpot is completely different, and has no relation to Guyanese Pepperpot whatsoever. But our foods share many varying similarities. Anyway without further ado I will share this superb recipe. You can store Pepperpot on your counter for days as Cassareep has preservative properties. But you will have to reheat the whole pot everyday to activate it, if you choose not to put it in the fridge. I store it in the fridge because that's my preference. I can't be bothered to reheat the whole pot everyday. It's your choice. Either way it's still delicious. 1. Add about half a cup of oil to a large pot and heat on medium high. Then turn to medium low heat and add 4 tbs of Garlic Butter Oil. Cook the garlic butter down for about five minutes as you would a curry paste. 2. Sear the oxtail and stewing beef for a few minutes in batches to brown them. I would say about five to six minutes for each batch. 3. Then add the water, 1 Litre or 4 cups is approximate. The water should cover the meat, so if it doesn't add more. Then add the Cassareep and stir it into the pot so it's well combined. Add Soy Sauce, some salt, and the remaining ingredients except the Scotch Bonnets. 4. Add the Scotch Bonnets in the last forty minutes. Please make sure that you take the seeds out, and that you wash your hands after handling them. Test for salt as you cook, especially in the last thirty minutes. 5. 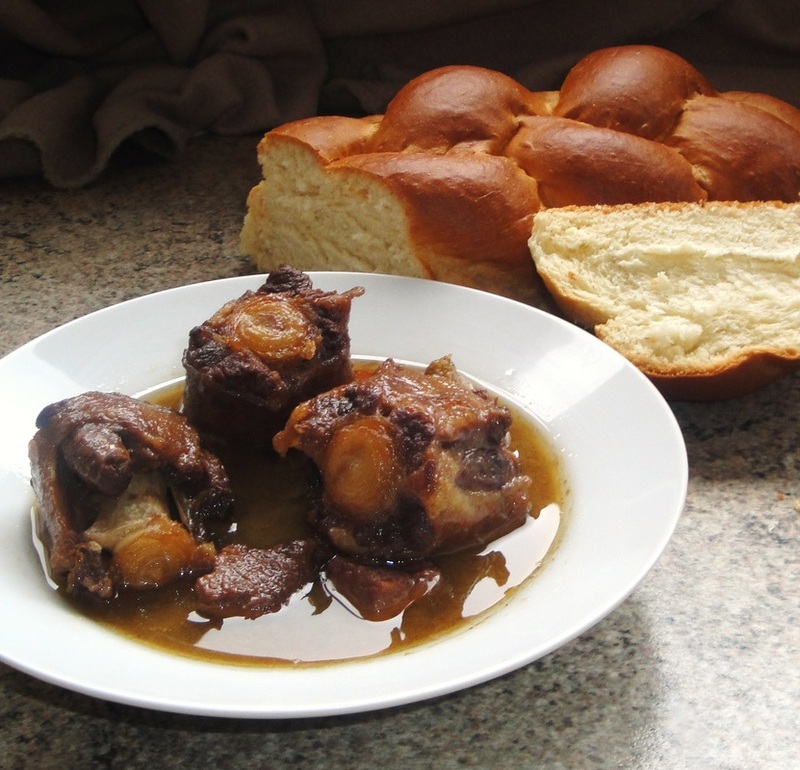 Leave to simmer until the Oxtails are falling off the bone tender and the stewing beef is melt in your mouth tender.